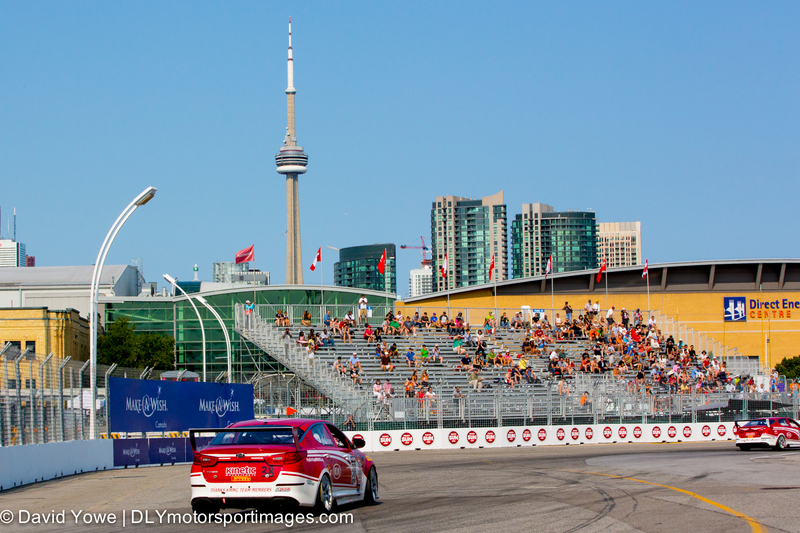 After a months break, the Pirelli World Challenge (PWC) series headed over the border to Canada, then back to the USA for Mid-Ohio, Sonoma, and the season finale at Miller. Congratulations to Johnny O’Connell (GT), Michael Mills (GT-A), Lawson Aschenbach (GTS), Cadillac (GT), and Kia (GTS) for winning their respective championships. Hope you like the photos. The Honda Indy Toronto was held along the streets of Exhibition Place. Mark Wilkins took a home-town GTS class win in the #38 Kia Racing/Kinetic Motorsports Kia Optima. 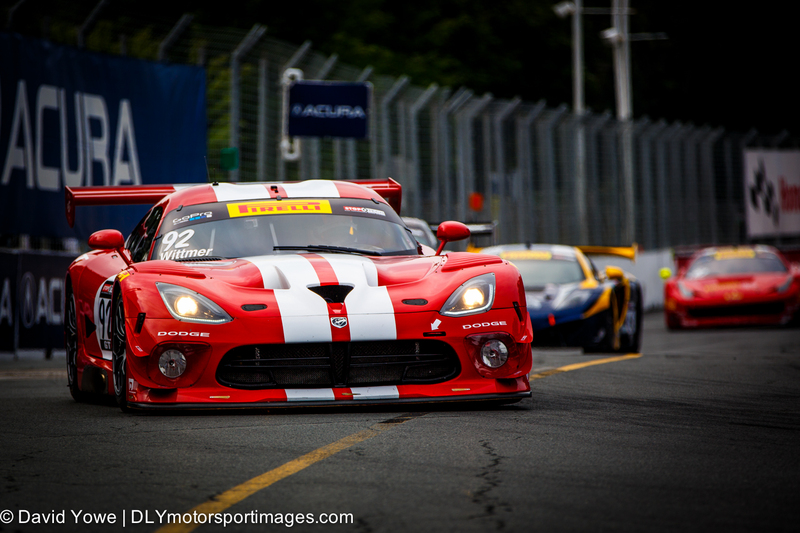 Even under overcast skies the beautiful red and white livery of the #92 Dodge Motorsports Dodge Viper SRT GT3-R shone through. 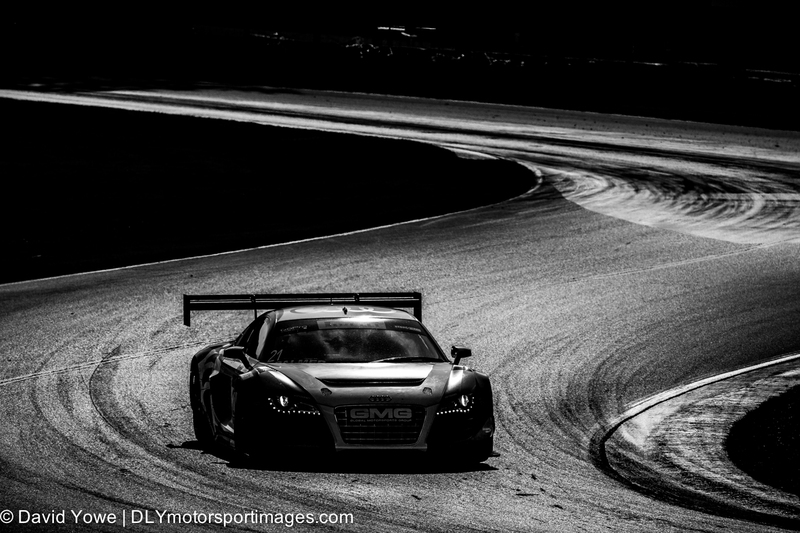 Kuno Wittmer had a home-town GT class win in this car. 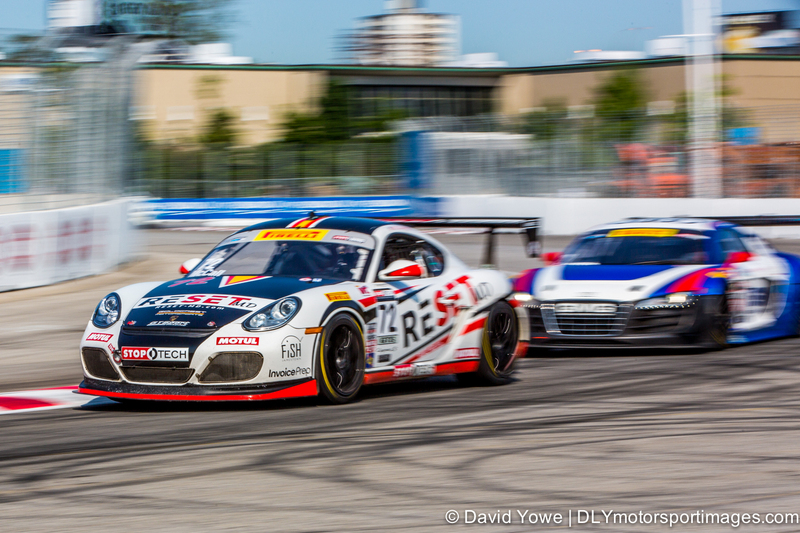 What I really like about the PWC is how different classes are competing in the same race. This makes for opportunities to capture close racing, as shown here with Buz McCall in the #72 GTSport Racing Porsche Cayman S and an Audi R18 in hot pursuit. 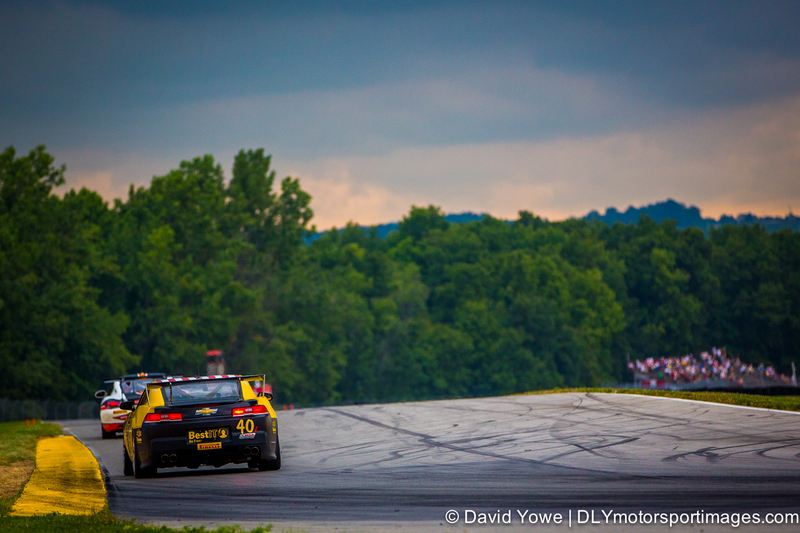 At the start of August the series headed to the Mid-Ohio Sportscar Course. 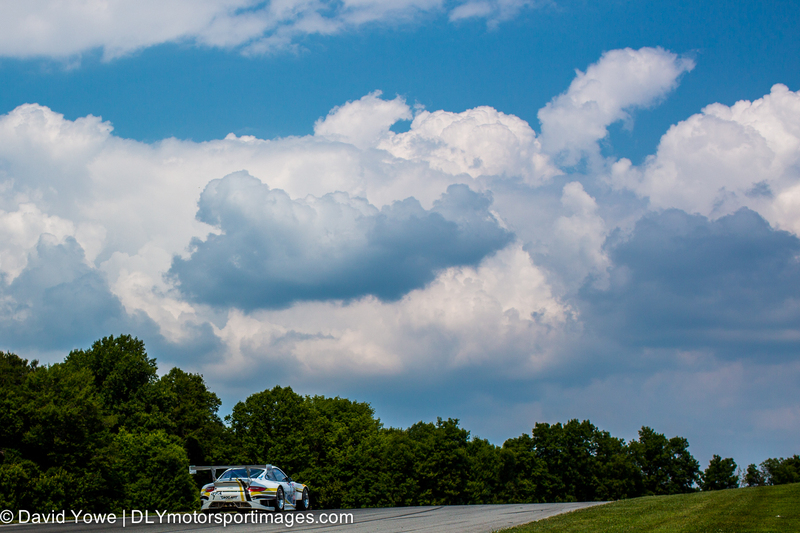 The clouds at this track made a big impression on me, both for there beauty and what “mother nature” had in store for us. Shortly after this shot was taken of Geoff Reeves in the #40 BestIT Racing Chevrolet Camaro, the skies opened up with torrential rain that led to an early stop to the race. During one of the afternoon sessions I decided to try something different (at least for me) and shot into the sun to capture a “silhouette” of the #21 Global Motorsports Group Audi R8 driven by Andrew Palmer. 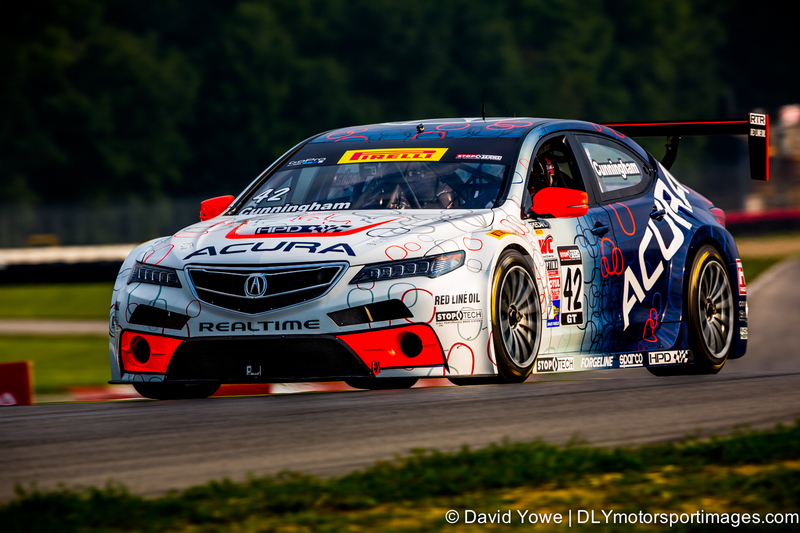 This race was the debut of the #42 RealTime R&L Acura TLX-GT driven by Peter Cunningham. The white and blue livery on this car was amazing, especially in the early morning light. 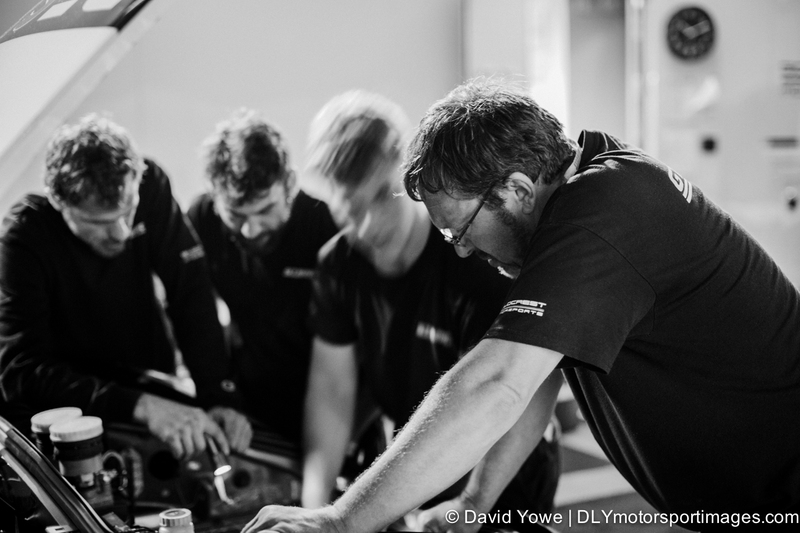 Great team work is essential for race car teams to be successful, as shown here with some of the Goldcrest Motorsports crew working through the night on a GTSport Racing Porsche Cayman S.
At the end of August the penultimate race was held at Sonoma Raceway in California. 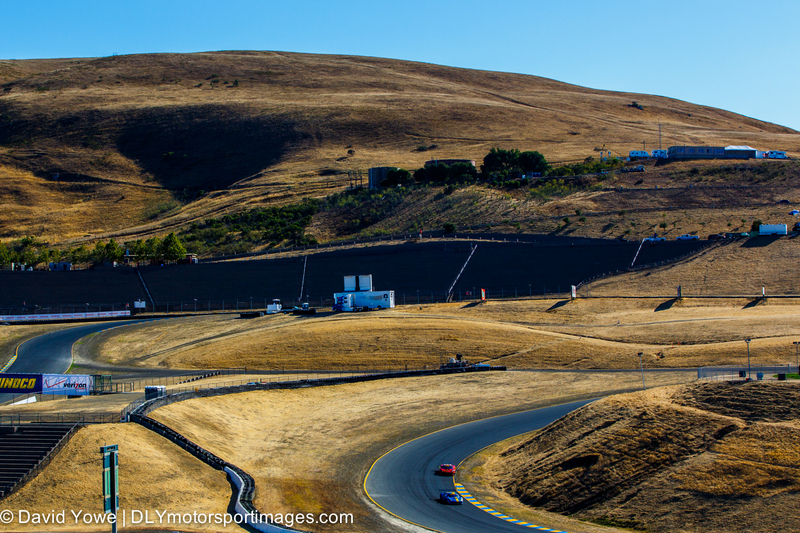 During the race weekend an earthquake reminded us of the natural forces that helped create the beautiful rolling hills that form part of this race track. 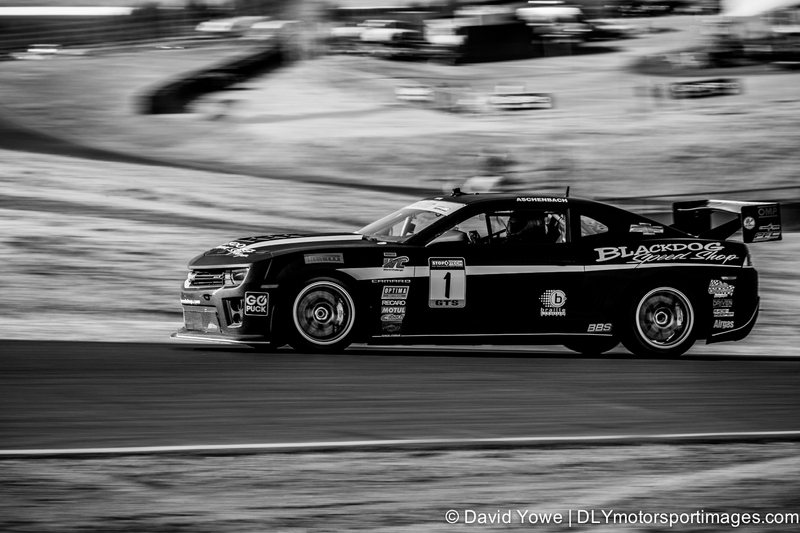 Watching the cars speed up the Sonoma hills was a sight to behold, as shown here with Lawson Aschenbach in the #1 Blackdog Speed Shop Chevrolet Camaro who won one of the GTS class races over the weekend. 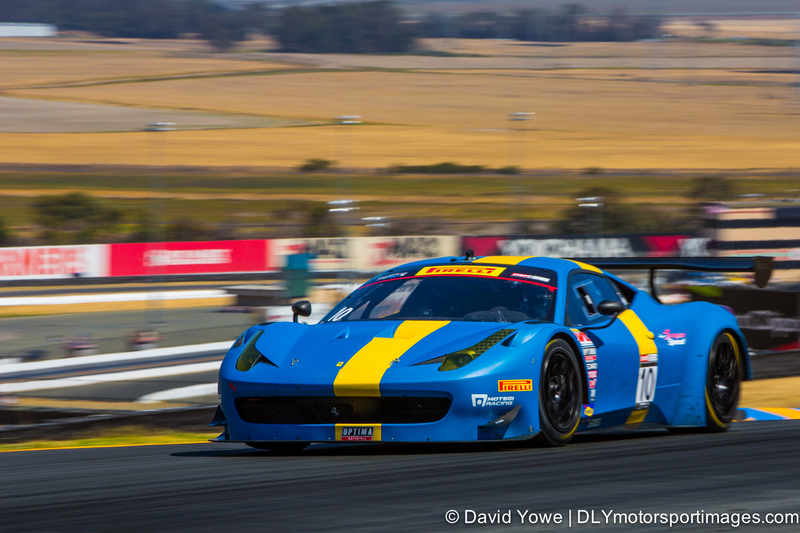 From the top of the hill, you have a great view of the cars speeding across this part of the raceway with the beautiful Sonoma Valley in the background, as shown with Henrik Hedman in the #10 DragonSpeed Ferrari 458 GT3 Italia. 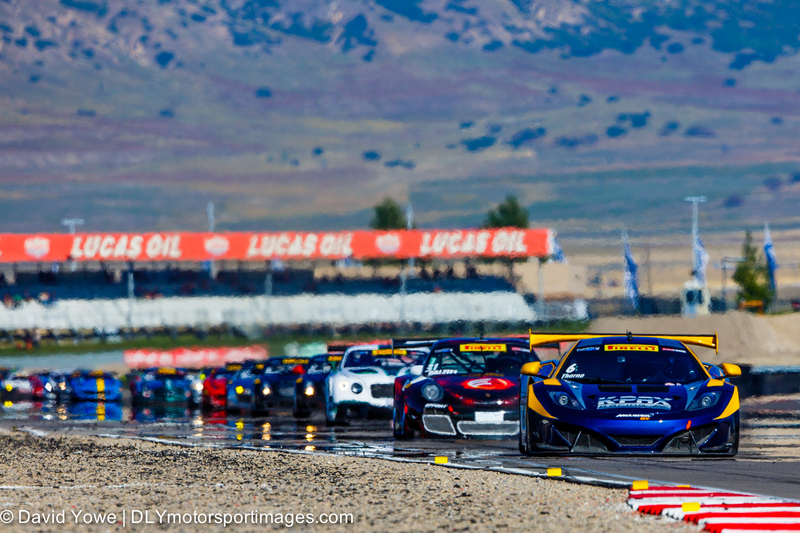 At the end of September the season finale was held at Miller Motorsports Park in Utah. 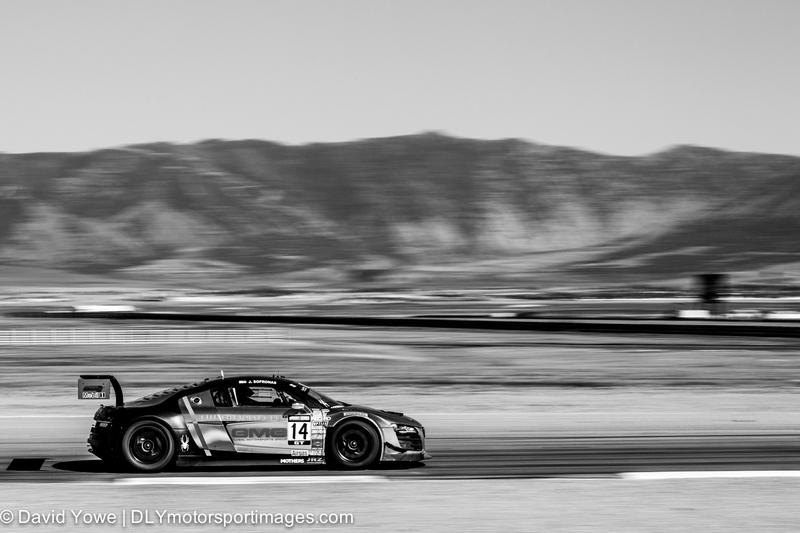 Panning with the car against the mountains, resulted in a “pastel-like” background, as shown here with James Sofronas in the #14 Global Motorsports Group Audi R8 Ultra. 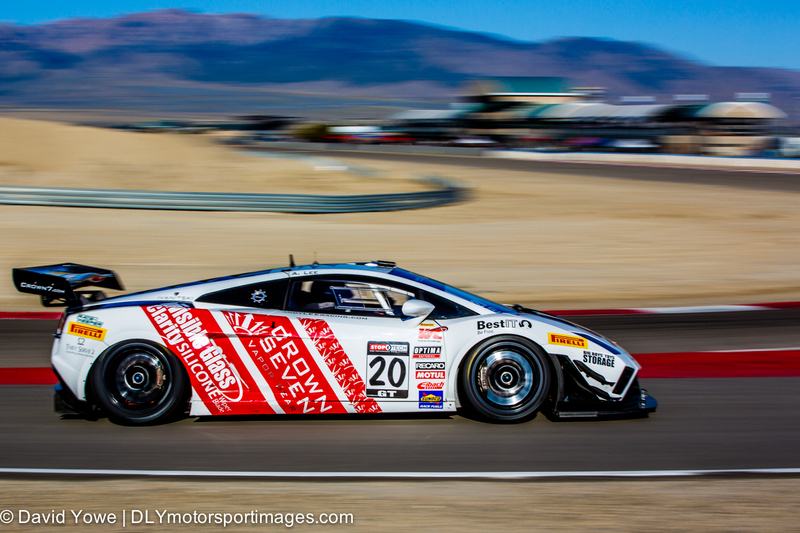 Andy Lee made his GT debut in the #20 Laguna Crown Lamborghini Gallardo FL2. I really liked how the early morning sun lit the side of the car and its disc brakes. The front straight gave me the opportunity to capture a “train of sports cars”, in this case being led by Robert Thorne in the #6 K-PAX Racing McLaren 12C GT3, who won the last GT race of the year. In closing, I’d like to thank those who made my rookie motorsport photography year possible and who gave me the opportunity to “live my dream”. In particular GTSport Racing, Motorsport.com, PWC, Sports Car Club of America, other photographers, track staff, and safety workers; and especially my wife. Dreams do come true, thank you for letting me share mine.